Charge 10 iPads or other USB powered devices at once with 2.4 amps per port. Replace bulky power strip and separate charging adapters with a compact charging station. An inexpensive alternative to charging carts. Over-current, over-voltage protection and premium circuitry ensure the reliability, charge your devices fast and safely. Highest power rating at 120W / 19.2 Amps output for adapter. Charge up to 10 iPads or other devices in the classroom with 2.4 amps per port. Powered by 120 watts that can provide full power for tablets. Designed with a smart charging chip that detects your device and delivers its fastest possible charging speed. 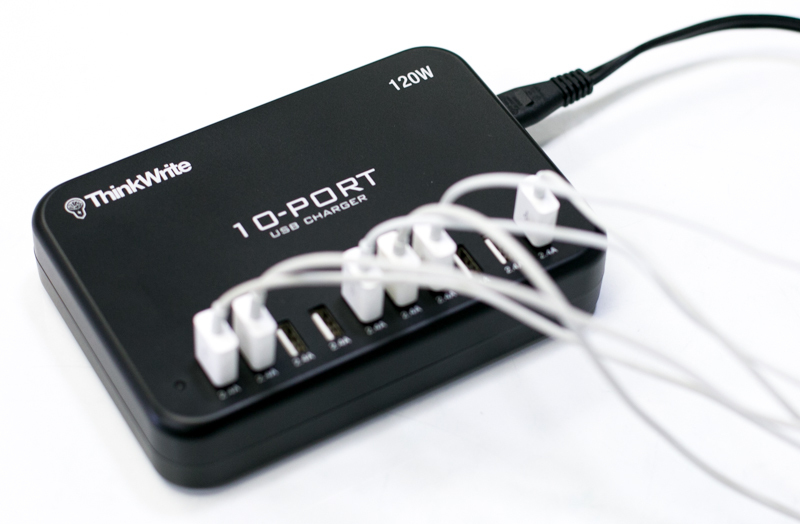 The 10 Port USB Power Adapter is a great alternative to carts in your school or district.